It wasn't long ago that the 2018 Mazda6 was the new hot item on the market. Now, it's still an incredible car, but there is an even newer Mazda on the block. The 2019 Mazda CX-3 compact crossover is here, and it has come with numerous interior updates. Style, safety, and efficiency are the calling cards of the Mazda CX-3. No other vehicle in its class encompasses these traits quite as well. The redesigned interior for 2019 is proof of the automaker's undying commitment to improving and refining. First, a new electronic parking brake has replaced the old cable-operated brake. Then we go to the aesthetics. Full leather seats are now available on all trim levels for the first time in the vehicle's history. A new fold-down center in the rear gives passengers access to armrests and newly placed cup holders. Other new features include faux-suede dash appliqués and red accent interior lighting. These subtle changes add up to create a totally new environment. If you're even thinking about considering buying a new Mazda CX-3, you would probably like to know how much it might cost you. 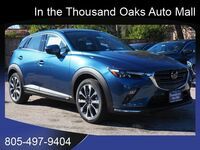 The base MSRP for the 2019 Mazda CX-3 is just $20,390. That is for the Mazda CX-3 Sport with front-wheel drive. Every trim level comes available with i-ACTIV AWD® which ups the price by just over $1,000. The optional Sport i-ACTIVSENSE® safety package, which we highly recommend costs $1,100. 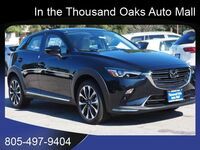 If you want to move up to the 2019 Mazda CX-3 Touring, the starting price is $22,475 with $1,410 for the optional Touring Preferred Equipment Package. The Grand Touring, meanwhile, starts at $25,745. These prices are MSRPs and the final retail price may vary depending on optional add-on equipment. Those interested in the new Mazda CX-3 should contact Neftin Westlake Mazda. This is the newest Mazda available, so don't you want to check it out? Come on down! You can read about it and look at pictures all day but you won't fully appreciate the new interior until you take it for a test drive. Our sales team will answer all of your questions and go over anything else you want to know. We hope to see you soon!